Creative Movement is an introductory class for children ages 3-5 years old. With the focus on nurturing a love for dance, this class develops body awareness and explores dance as a form of communication using, games, fairy tales and recognizable stories. We also instill basic manners; sharing, taking turns, being kind to those around you, and listening when someone else is talking to ensure a healthy learning environment and classroom safety. Ballet I instills the basics of classical ballet technique. Students are introduced to the structure of a ballet class and the concepts of proper posture, turn-out, and etiquette that will give them the foundation they need for further ballet studies and other forms of dance. In the transition from Creative Movement games are still employed to ensure student's enjoyment. Ballet II deepens the understanding of the basic classical ballet technique with increased vocabulary and longer combinations. Ballet I or previous ballet experience is a prerequisite for this class as greater demands are placed on the dancer's knowledge and focus. Since ballet is about consistency, participation in this class requires students to take two ballet classes a week. This is our highest level of ballet at Dana's Dance. Continuing to build the students' understanding of technique while introducing the concept of artistry, combinations increase in complexity, vocabulary broadens and greater expectations for dancers' commitment, focus, and work ethic are required. In order to participate in Ballet III, dancers need to take three ballet or ballet/contemporary classes. Placement in Ballet III will be at the discretion of the teacher. Specifically designed for boys, this class is taught by our male instructor, Houston Gordon. Geared toward dancers as well as athletes, this class emphasizes, strength, agility, and flexibility. A wide range of dance styles are explored ranging from ballet to hip hop. As proven by professional sports teams, this class can increase performance in your chosen sport with higher levels of body awareness and attention to small motor skills as well as substantially decrease susceptibility to injury. This class expands on the concepts from Creative Movement and is geared toward children 6+. We use the first semester to work on ballet technique at the barre, center and across the floor. We work on developing a disciplined mind and body as well as physical strength and endurance. The second half of the year we do a jazz and contemporary based class. We is now in center and music changes from classical to contemporary, age appropriate music. 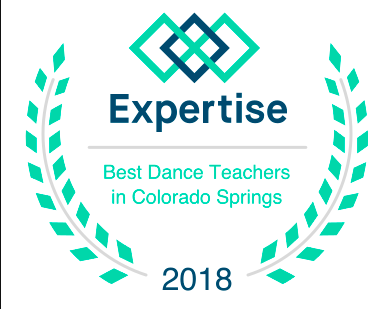 Similar to Ballet/Contemporary I in structure, the focus includes greater retention, self-expression, vocabulary and a deeper understanding of technique. It includes the dance styles of Ballet, Jazz and Contemporary. In the same format as Ballet/Contemporary I & II this class builds upon previous material. Expectations include professionalism in conduct and serious work ethic. Retention and the ability to learn quickly are required. Technique is described through anatomy and kinesiology terms. This class is recommended for students with an extensive background in ballet and modern/contemporary. Our introduction to hip-hop is a fun filled class that works on basic technique. Classes include a warm-up, moving into strength training, and stretching followed by across the floor combinations. Each class concludes with short choreography based on movements learned during the session. Building on the movement of the Hip Hop I, this class is faster and more challenging with greater complexity. Prerequisite Hip Hop I or previous hip hop experience. The Jazz and Musical Theater combination class will focus on dance technique, developing complex rhythms and patterns, and improving performance quality. Students will be exposed to various styles of jazz such as Broadway to enhance stage presence. Class curriculum includes traditional jazz technique with a proper warm-up, stretches, isolations, and across-the-floor progressions. A dynamic and percussive class designed to help dancers develop rhythm and style. Class emphasis is on developing proper tap technique, producing clear tap sounds, and having fun. Exercises and combinations focus on building flexibility in the knees and ankles, increasing coordination, and developing musicality. This class is recommended for all ages 5+, beginners through experienced. As students progress through each level, curriculum will become increasingly more complex and intricate. A dance class employing all styles of dance to express ourselves and explore our walk with the Lord. Improv and self choreography are highlighted in this class. We will be using movement based on Bible verses and words of truth. This class expands on all styles of movement, including Ballet, Jazz, and Modern. We will start with ballet, but move quickly into other styles of dance. To take this class the dancer needs a strong foundation in ballet and a high level of body awareness. Open Floor Time is to be used by a student/s who want to practice on their own or work on a piece of choreography. There is no instruction, however critique can be arranged. Rent is $17 per hour for upkeep & maintenance. The studio must be reserved by email or phone a week in advance. Our Pre-Pointe class prepares students for the demanding technique of pointe work. Pointe is a specialized ballet training that requires the proper development of muscles in order to prevent injuries and ensure success. Enrollment in this class is at the discrestion of the teacher and students must meet a minnimum ballet class requirment.